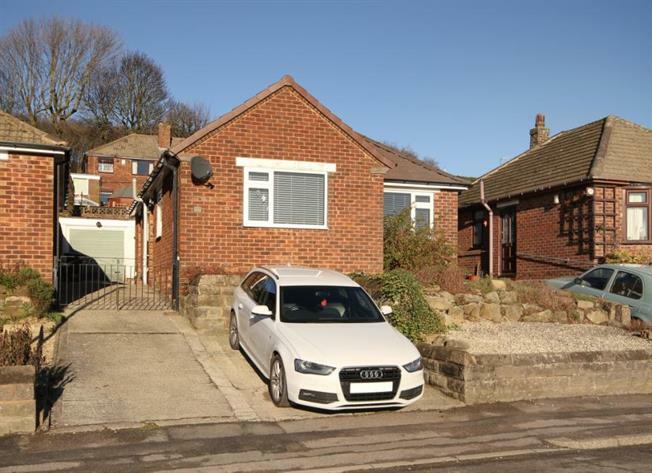 3 Bedroom Detached Bungalow For Sale in Dronfield for Guide Price £250,000. A recently modernised and decorated three bedroom bungalow which has been generously extended and also benefits from a garage. A side entrance leads into a deep reception hallway leading to a delightful and extended lounge/dining room which is light and airy, the dining area having double glazed patio doors leading to the rear garden. The kitchen is well fitted with a range of base and wall units, hob and oven. To the font of the property is the Master bedroom which enjoys fine southerly views. The second bedroom is also double in size and has the front facing views and a third bedroom to the side of the property. The modern bathroom has a white toilet and wash hand basin and shower unit. Outside there is a low maintenance front garden and a long driveway offers ample parking and leads to the detached brick built garage. The rear garden has two patios rockeries and bushes.